Apple's iPad goes on sale Saturday, but the first reviews are in giving us our first independent and in-depth looks at the "magical" tablet. 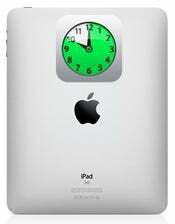 Will the iPad "change portable computing profoundly" as one reviewer suggests it will? Or is the hype around the iPad a bit overblown? Here is an overview of early iPad reviews from The Wall Street Journal's Walt Mossberg, The New York Times' David Pogue, The Chicago Sun-Times' Andy Ihnatko and USA Today's Edward C. Baig. All four of these reviewers have had time to play with the device, and most were impressed by the speed of the iPad and its overall visual appeal. But there were some quibbles about the iPad, and it's still up for debate about how, exactly, this device will fit into your digital life. Since there has been so much debate and prognostication surrounding the iPad, this round-up will try to address some of the top iPad-related issues such as battery life, laptop replacement, the virtual keyboard and iPad Apps by looking at what each reviewer had to say about these topics. If you just want to get a sense of the general thoughts of each reviewer, check out Jason Snell's breakdown over at Macworld. For the rest of you, let's dive in. Ever since the iPhone came out in 2007 there's been a big debate between those who love Apple's virtual keyboard approach, and those who prefer the tactile satisfaction of physical keys. Early iPad reviews continue this keyboard controversy. Mossberg was the biggest proponent of the iPad's virtual keyboard, saying he had "no trouble typing accurately and quickly" on the iPad. The Journal reviewer even preferred the iPad keyboard to its physical counterpart on smaller netbooks where a keyboard can typically range anywhere from 85 to 97 percent of standard size. Others disagreed with Mossberg's take. The Times' Pogue said typing on the iPad was a "horrible experience" when the iPad was in portrait view, and the larger keyboard in landscape mode was "barely usable." Over at USA Today, Baig said the iPad keyboard was fine for light use, but he wouldn't want to use it for writing articles. The argument over how the iPad will fit into your digital life--as a replacement for something else or one more device to add to your collection--is just a big debate as the keyboard issue. Pogue states unequivocally that the iPad is not a laptop replacement, because the device doesn't function very well as a content creation device. Mossberg agrees with these sentiments, but at the same time is a little more bullish about the iPad's future. The iPad has the "potential to change portable computing profoundly" and "challenge the primacy of the laptop," Mossberg wrote. Over at the Chicago Sun-Times, Ihnatko doesn't think the iPad can replace a netbook, but believes the "iPad is filling a gap that's existed for quite some time." Baig believes that the iPad threatens netbooks and believes the mini-laptops must "adapt or disappear." All of the reviewers agree, however, the iPad is mostly about content consumption and light e-mail. Haven't we heard that somewhere before? We already know the iPad will use the iPhone's library of thousands of apps to supplement its usability, while developers rush to get iPad-specific applications out the door. However, all the reviewers basically said users have a lot to look forward to in terms of attractive, easy-to-use applications coming to the iPad. Pogue describes the iPad Scrabble app, which can comfortably fit the entire Scrabble gameboard onto the iPad screen. You can also use a companion app on your iPhone or iPod Touch called Tile Rack that lets you organize your Scrabble tiles and you can then flick your tiles onto the Scrabble board from your smaller device when it's your turn to play. David Pogue is the most conflicted about the iPad's e-reading capabilities. He says that you can't read text well in direct sunlight, and doesn't believe the iPad has the ability to save newspapers and books. Pogue also says the 1.5 pound weight of the iPad is harder to hold for long periods, compared to the 10.2-ounce weight of Amazon's Kindle. Others are a little more bullish about the iPad's reading capabilities. Mossberg says The Wall Street Journal app for the iPad is the best digital version of the paper he's ever seen. Baig says the newspaper and magazine layouts are far superior to the Kindle, not surprising considering the color screen, but also didn't like the weight of the iPad over extended reading periods. One notable point is that Pogue says you can't read iBooks, Apple's own e-reading application for the iPad, on other devices like your iPhone or MacBook. That's a very different approach from the Kindle, where you can start reading a book on your Kindle, switch to your iPhone without losing your place, and even scan a few pages later in the day on your laptop or desktop computer. One reading app that sounds impressive, though, is the Marvel Comics app. Both Baig and Pogue said the iPad was a fantastic way to read a comic book. It's hard to trust manufacturer claims about battery life, because they are often overstated and just plain wrong. The iPad, however, has reportedly defied expectations and actually exceeds Apple's own battery life claims of up to 10 hours of Wi-Fi Web surfing, watching video or listening to music. Both Pogue and Mossberg discovered that the iPad lasted for almost 12 hours when using the device to watch back-to-back feature length movies and TV shows. It's not clear how Pogue tested his device, but Mossberg put the iPad through its paces by watching video and leaving battery draining functions turned on like the Wi-Fi connectivity, turning the screen up to its brightest level and fetching email. Now, it should be pointed out that Apple may have intentionally lowered its battery life claims to allow for reviewers to be amazed by the iPad's long life. It's hard to know for sure. Regardless, a device that can last for 10-12 hours for basic Web surfing, watching videos and music is still pretty impressive. Other things the reviewers had to say was that the iPad was very fast thanks to the iPad's Apple A4 processor. Of the reviews I looked at there wasn't much of an opinion about the iPad as a gaming device. The iPad also took a hit from most reviewers for its lack of third-party application multitasking. That was also a big criticism of the iPhone that is rumored to be addressed in the next iteration of the iPhone OS. What other iPad issues are you wondering about?